Four finalists: Kevin Shannon, National Champion Peter Jenkins, Luke O'Keeffe and Julija Fedotova. 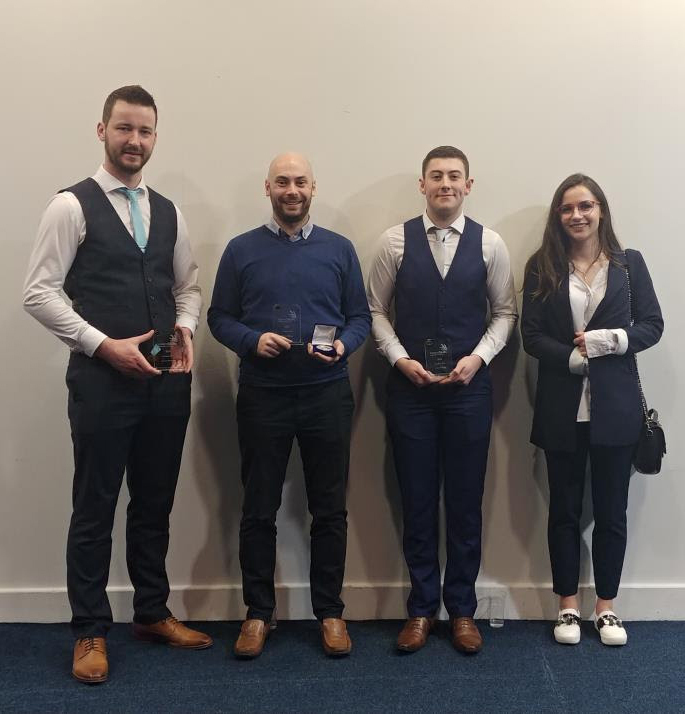 WATERFORD Institute of Technology student Peter Jenkins has won the IrelandSkills Live National Skills Final in the BIM (Building Information Modelling) category. Peter, a Clonmel native, is a fourth-year student on the BSc (Hons) in Architectural & BIM Technology student in the Department of Architecture. In the finals at the RDS, Peter was up against another ten students including fellow WIT students Kevin Shannon from Taghmon, Co Wexford, Luke O’Keeffe from Mooncoin, Co Kilkenny and Julija Fedotova from Waterford. This was the second year that BIM was included as a Worldskills event in Ireland and the first year the IrelandSkills event was held live under one roof. It was an inspiring three days watching competitors from across both traditional and new digital skills competing for the title of National Champion. Previous articleLocation and storage most important to those in Munster if downsizing – Is this an option for Waterford’s 30,000+ over 55s?